It’s weird that we haven’t live tweeted a Harry Palmer movie yet. It’s weird that even when we do start to live tweet the Harry Palmer movies, we’re starting with Billion Dollar Brain because themes. It just so happens that the third Harry Palmer film dropped during 1967 and we’re currently exploring the spy films of 1967 through the Year of the Spy 1967 retrospective. This works because A) Harry Palmer movies are not especially beholden to each other; B) Billion Dollar Brain is the most Bond-like of the bunch; and C) I said so. The Billion Dollar Brain was directed by Ken Russell, marking the controversial director’s only outing as a mainstream director-for-hire. It’s an odd fit for the director, but some of the auteur’s flamboyant touches remain even filtered through the pop-culture spy craze. 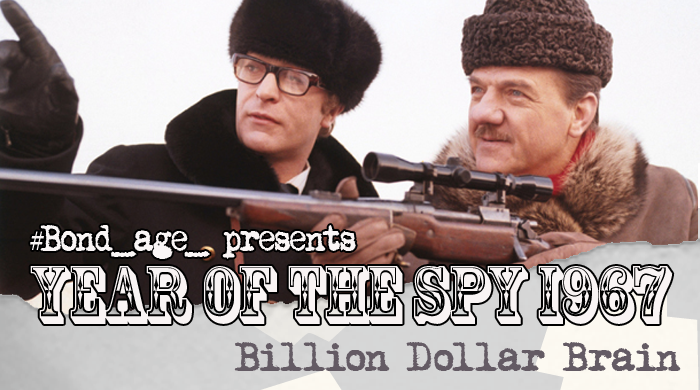 Join #Bond_age_ on Wednesday, August 16th at 9pm ET for the Billion Dollar Brain live tweet. Follow #Bond_age_ hashtag.